European Space Propulsion System Simulation (ESPSS) is an European Space Agency (ESA) toolkit for modelling rocket and satellite propulsion systems. EAI is the official distributor after prior approval from ESA and the primary developer of the libraries. 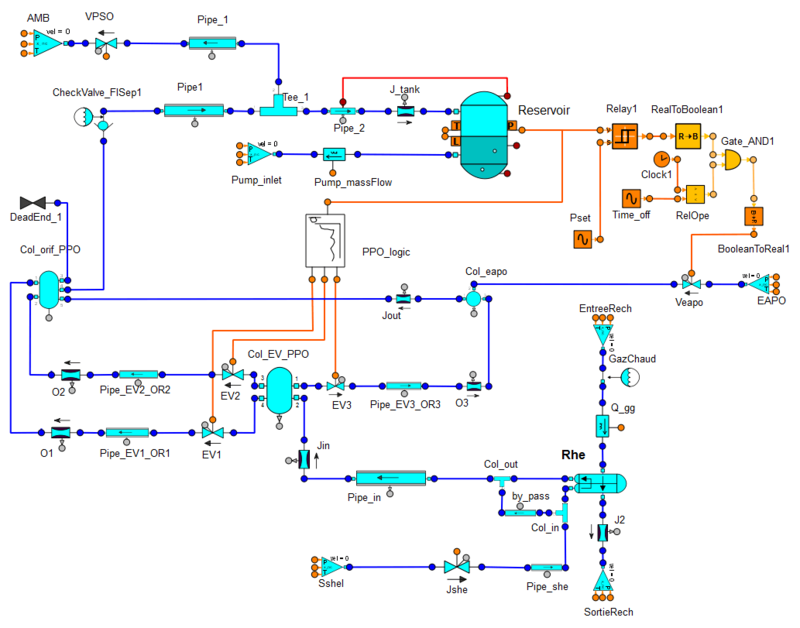 It consists of a set of libraries based on the EcosimPro simulation environment, incorporating an open (reusable) object-oriented programming language, powerful solvers and a friendly Graphical User Interface. 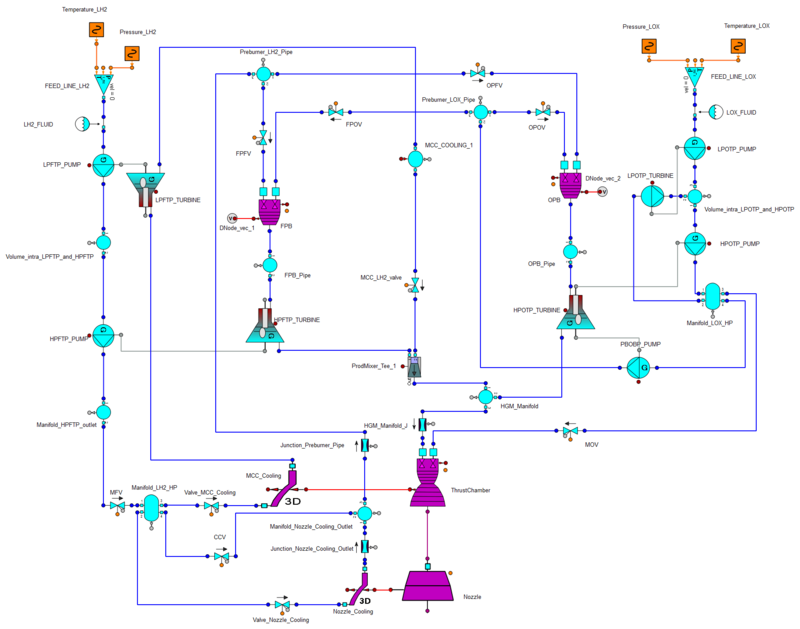 The ESPSS toolkit provides components and functions for the simulation of launch vehicle and spacecraft propulsion systems able to work under transient and steady conditions. ESPSS also includes a complete database of fluids to be used as propellants, pressurizing fluids or other applications. The palettes of components allow the user to graphically build complex models quickly and to add new components to the library. ESPSS provides a state-of-the-art tool in propulsion systems analysis successfully validated with the help of analytical solutions (1D Pipe & Combustor models), experiments entailing priming cases, two-phase tank filling processes, the Ariane 5 ESC-A upper stage, etc. Today, EcosimPro/ESPSS is used widely by many aerospace companies for modelling sophisticated rocket and satellite propulsion systems. It is also being used to model new concepts of propulsion systems that could represent significant milestones in future propulsion systems, including hybrid propulsion and electric propulsion. Fluid networks with detailed simulation of transient aspects due to inertia (water-hammer), heat exchange (radiators) or control processes. Pressurization systems including priming processes, tank behaviour, heat transfer, mechanical or electronic pressure regulators, etc. 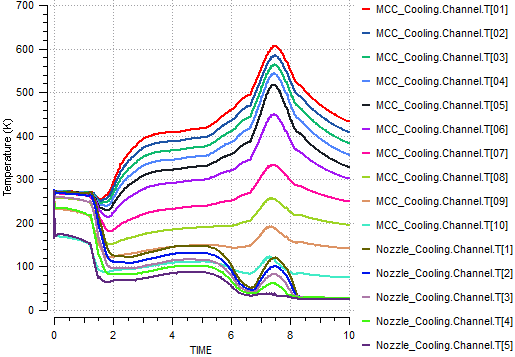 Combustion processes calculating chemical equilibrium of a mixture in transient and non-adiabatic conditions taking into account vaporization and reaction time. Liquid, hybrid and solid rocket engines with one or more combustion chambers including turbo-machinery and two-phase cooling systems. Simplified study of movement and attitude of satellites, orbital transfers and orbit control coupled to their propulsion system. First operational version of electric propulsion systems based on correlations. A standalone library with the necessary components for the calculation of steady performances of liquid rocket engine cycles under design and off-design conditions. Optimization Module for design and test fitting. Easy-to-share models between EcosimPro users and also exportable as black boxes to be simulated independently. Multiple possibilities of interaction with external engineering software like Matlab/Simulink, Excel, etc. 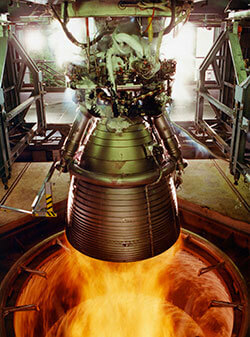 When a liquid rocket engine starts up or shuts down, a complex transient process takes place. 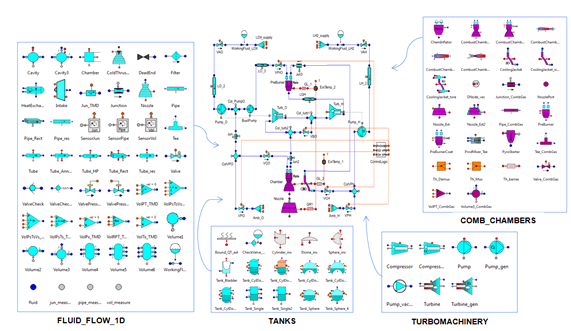 This example reproduces the architecture and performances of an engine similar to the Main Engine of the Space Shuttle in such conditions, showing the evolution of pressures, temperatures or mass fluxes through different components. The model consists of two fuel supply lines, high and low pressure turbo-machinery for each line, a pre-chamber to move the turbines, the main combustion chamber and the nozzle extension, the fluid network and the thermal network including two cooling circuits and the heat transfer among the fluid, the walls and the ambient. 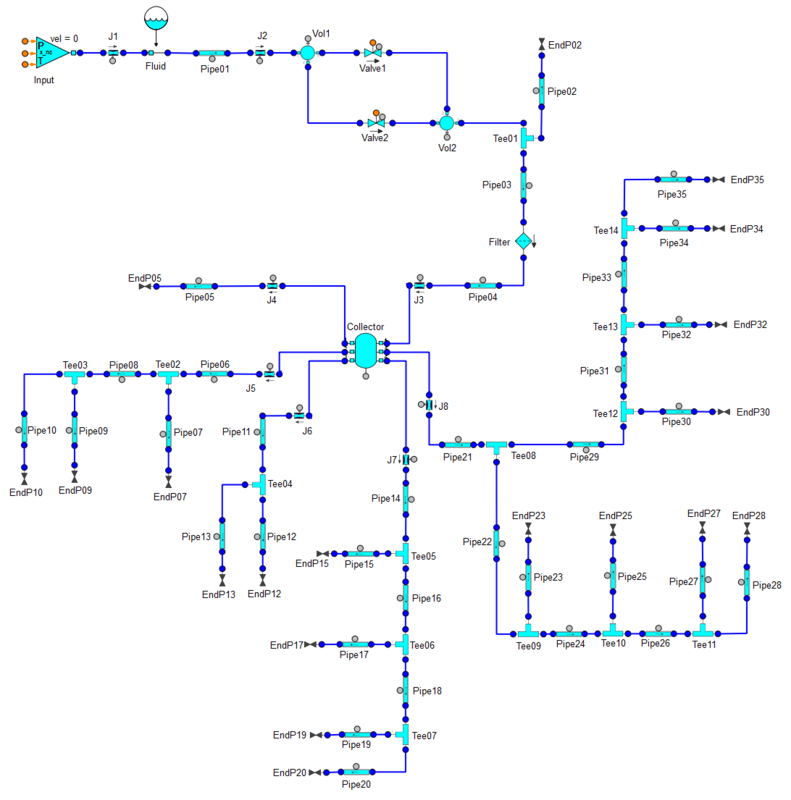 This model represents a complex piping network, which is usually part of a bigger system. The purpose of this case is to show how a priming process is simulated in ESPSS, highlighting some of the most representative variables. The model is composed only of fluid elements, such as pipes, junctions, volumes and valves. One of the most important subsystems for space propulsion applications is the fuel storage and pressurization system. The following model shows the LOX pressurization system of the Ariane 5 by means of electro‐valves. The Tank (containing LOX, He and GOX vapors as pressuring gas) is simulated with a complex component capturing vaporization, fluid temperature distribution, etc. The pressurization system consists of a set of three latch valves (PPO subsystem): the first one is normally open; the second opens when the tank pressure drops below a predefined threshold (variable in time) and closes when this pressure exceeds another threshold; the third one is normally closed. The PPO collector is pressurized with Helium coming from a Sphere at very low temperature, which is heated when passing through the reheater RHE placed inside the turbine exhaust lines (“GazChaud” flow). The reheater subsystem includes passive temperature control, thanks to the bypass lines. At times up to ‐300s, the tank remains in boiling pressurization because no gas is injected inside; a small outlet vapor flow exiting the tank through the VPSO valve compensates any possible heat leaks. The system pressurizes the tank from time ‐245 to ‐10 seconds. The Relay control component is responsible to switch the valve between +‐0.15 bar around the set point imposed by “Pset”. Before the start up of the engine at -300 seconds, the EAPO subsystem pressurizes the Tank to P=5 bar. Then, at TIME = ‐10 this system is switched off and the PPO subsystem is activated.